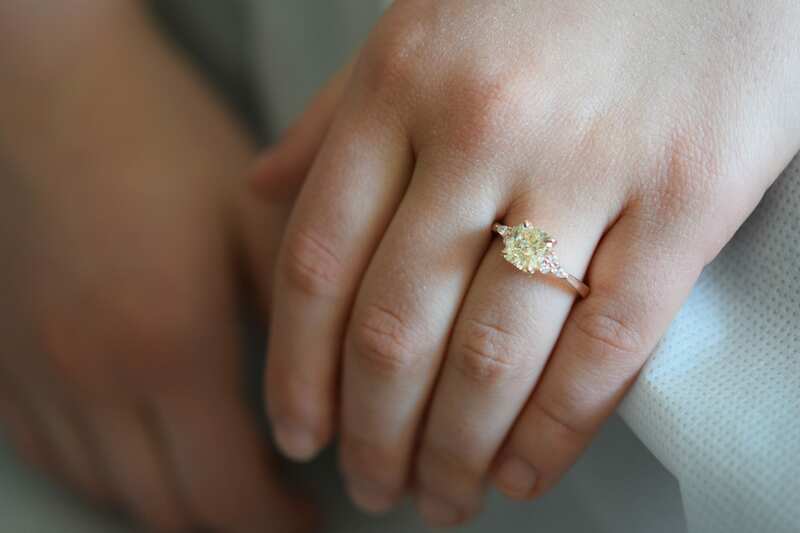 Yellow diamond ring. 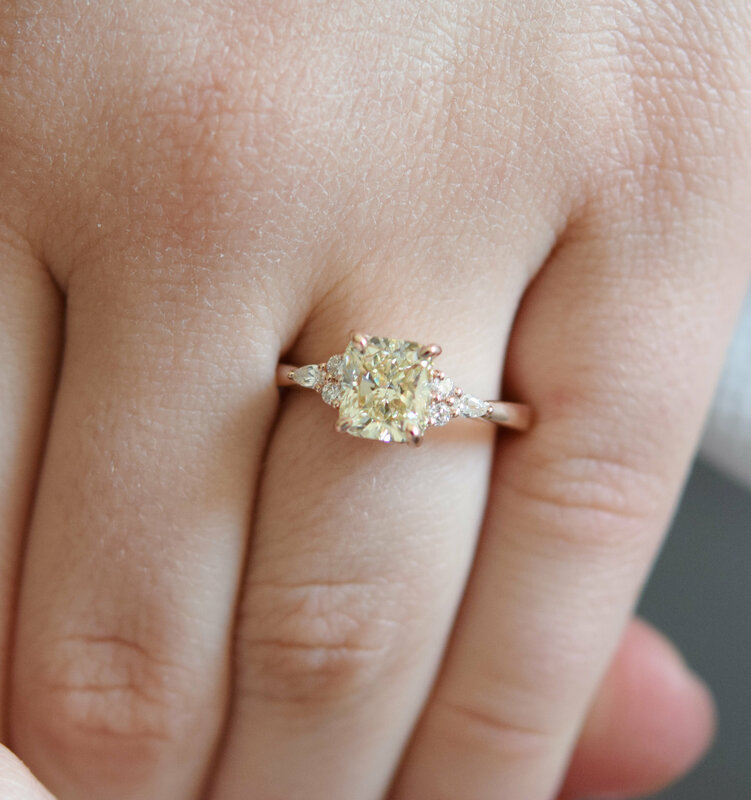 Champagne diamond ring. 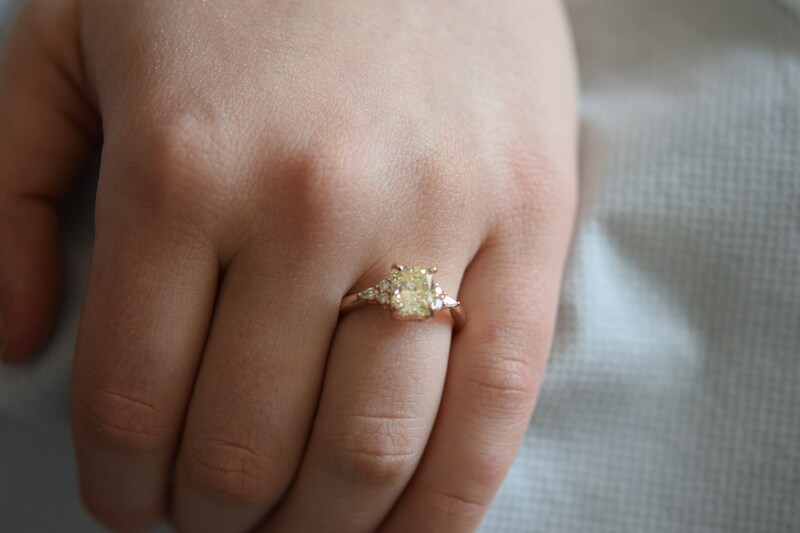 Engagement ring Campari design by Eidelprecious. 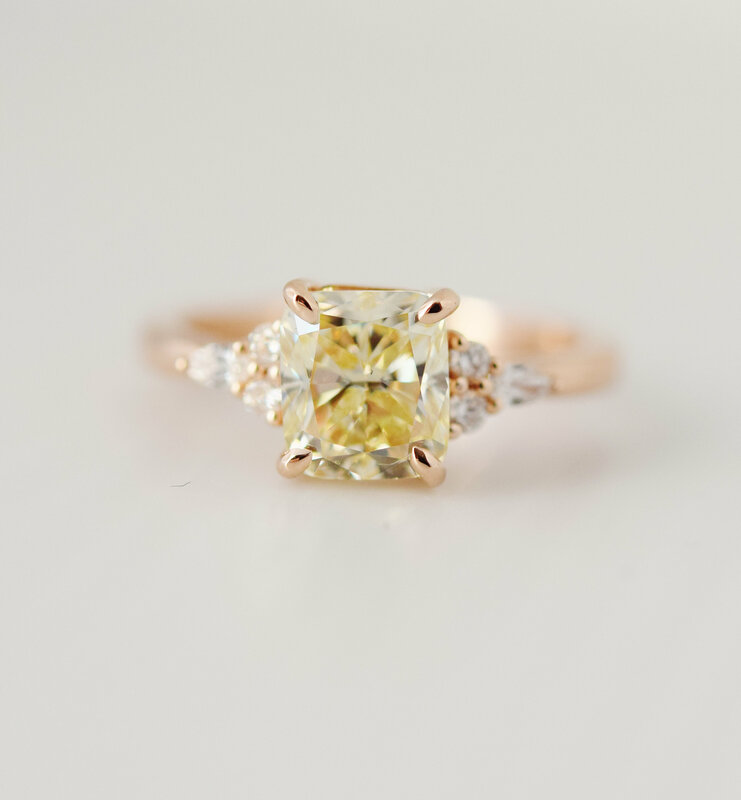 This ring features natural 2ct yellow champagne diamond, sparkling and clear in perfect radiant cut. The diamond is certifies by IGL. 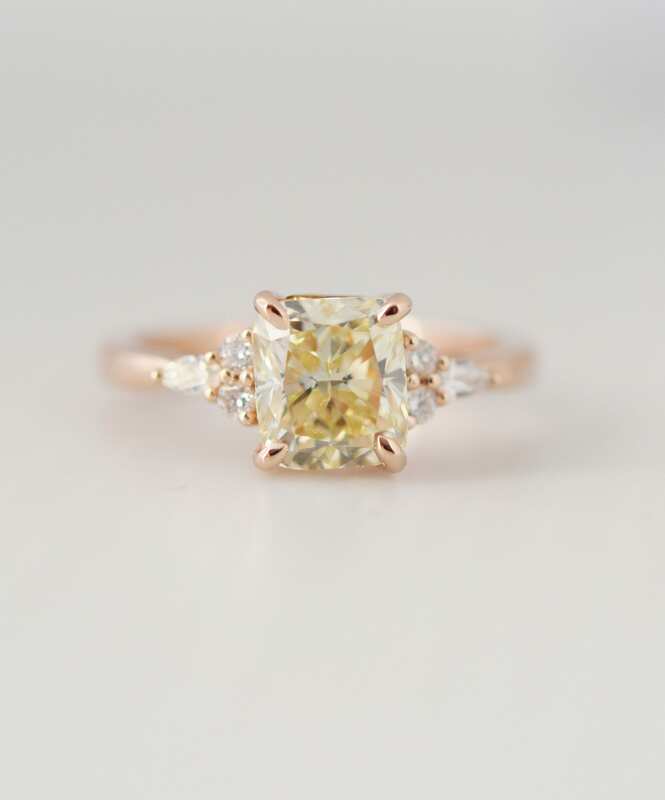 The diamond is 2ct, VVS2 clarity enhanced, champagne yellow color, radiant cut. It is set in Campari rose gold diamond setting, TDW of the setting is approx. 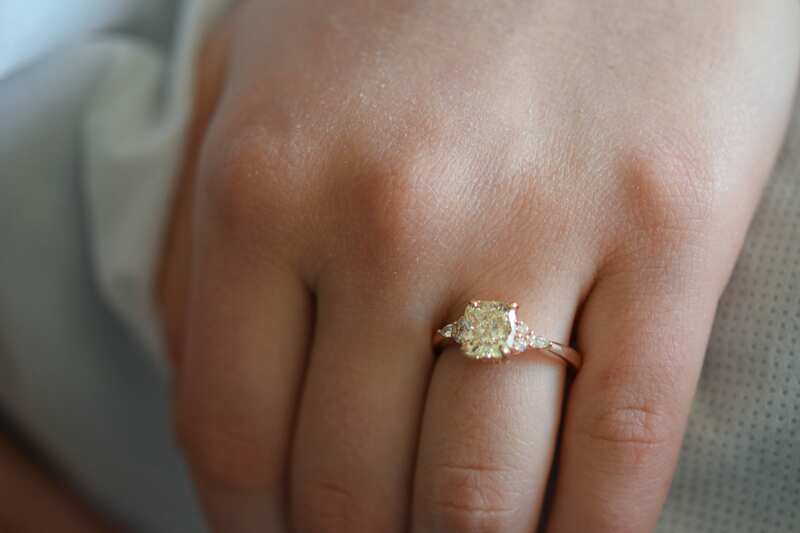 2.25ct.